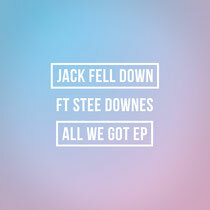 Jack Fell Down is a duo who have had releases and remixes on labels like Home Taping Is Killing Music, Manucci's Mistress and Southern Fried Records. 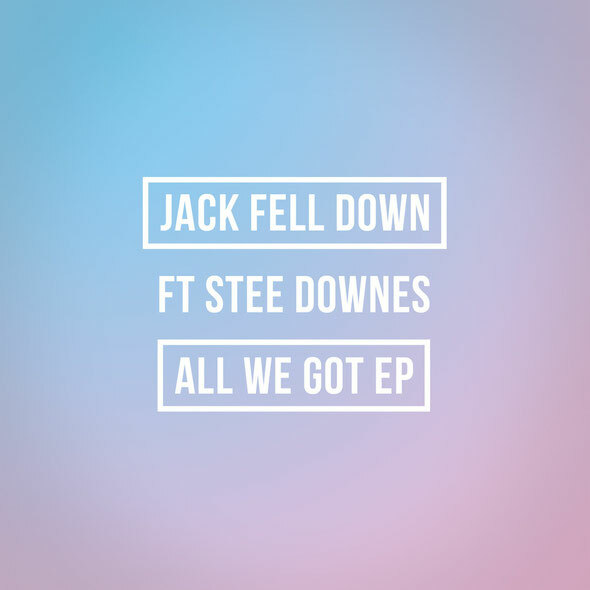 They have moulded deep house grooves with various different moods and here they team up with Stee Downes, a vocalist who has worked with Nicholas on 4Lux and The Lovebirds. The EP's opening track ‘All We Got’ is a sparse affair that still manages to pack a hearty and emotive punch. The considered synths and tactile percussion ride on an elastic beat, as Downes does his heartfelt and stirring thing up top. ‘Just Begun’ is a little more playful. The drums ping that bit more and the synths are a little more restrained. Next track ‘No Way’ steps it up again. It has a well-rounded analogue bassline riding up and down beneath squelchy details. Stee takes the vocals on again and sings with more fluidity up top. Closing out the EP is a dub mix of ‘Just Begun’, this is the most jackin' track on the EP and without the vocals exhibits more of a neck-snapping groove. It’s out today.